There’s a long list of very good reasons why heat pumps continue to gain popularity. There’s just as many good reasons why Steel T Heating & Air Conditioning is the leading choice for heat pump installation and service in Denver Metro Region. Quality products and skilled service add up to convenience, reliability, and rewarding performance. As a Carrier Factory Authorized Dealer, we not only bring you the most technologically advanced options on the market today, we protect your investment with proper sizing and implementation. You’ll enjoy refreshingly cool temperatures all summer long, and then when that colder weather sets in, the system reverses operation to provide heating capability as well. With room-by-room control, you take advantage of customized comfort and greater energy saving potential. 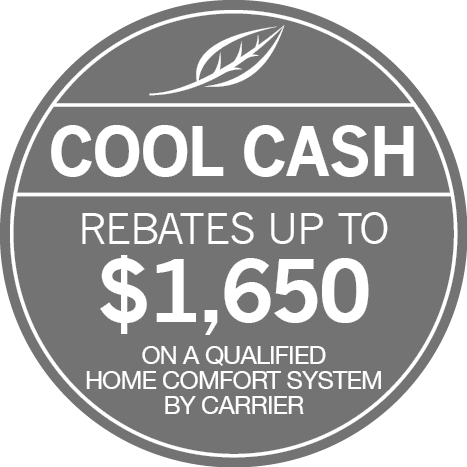 Trust the NATE-certified experts from Steel T Heating & Air Conditioning to match your specific needs with outstanding efficiency, innovative features, and perfect corner-to-corner comfort. Get heat pump repairs, maintenance, and installations from the knowledgeable Steel T Heating & Air Conditioning team! Carrier Infinity series heat pumps with Greenspeed intelligence partner adaptable speed technology with Infinity control to raise industry standards. These amazing systems answer variations in indoor conditions by slowing down and speeding up in mere one percent increments between forty and one hundred percent capacity. By delivering only the heating/cooling necessary to meet demand, the heat pump consistently conserves energy, enhances comfort, and maintains temperatures within a degree of the thermostat setting. You’re going to enjoy impressive dehumidification capabilities in cooling mode, and avoid overly dry air in heating mode. If you still want more, how about the ability to control everything from temperature, to fan speed, ventilation, air quality, and humidity from your smartphone, computer, or tablet. All Infinity heat pumps can be part of a Hybrid Heat dual fuel system, for year-round cost-savings and comfort. Contact the skilled heat pump specialists from Steel T Heating & Air Conditioning, and we’ll create the perfect home environment for you and your family to enjoy.